Backed ourselves with best machines and skills, we are offering our customers best and world class assortments of Bellow Coupling. 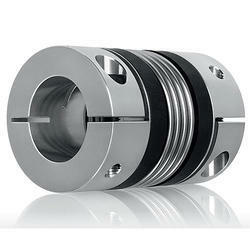 These coupling are best in class and available in metal finished textured. These coupling are designed in automobiles to connect the shafts to produce power. They are stainless and easy to install. Backed by the prosperous practice, we are capable to offer Flexible Bellows Coupling. Our products are made by professionals employing the optimum grade material which is sourced from the trustworthy merchants of the industry. In addition, professionals also rigorously check all the products to ensure their longer service life.